What Is the Best Credit Card Machine? Whether you’re looking to take co-pays at your health-care practice or charge clients for a great new head of highlights, there are a lot of factors to consider when choosing the best credit card machine for your business. Cost (initial as well as ongoing), security, and usability should be top of mind when selecting the best credit card machine for your business. This guide will help you understand what to look for in a credit card machine so you can make the right decision. The new, powerful, all-in-one-credit card machine. Choosing the best credit card machine might seem like a pretty easy proposition. It just needs to take payments, right? Well, yes and no. To make sure you’re getting the most reliable and cost-efficient technology that creates a seamless experience for your customers, you need to think about more than just the payment. Whether you’re looking to purchase your first credit card machine or switch to a new one, here are the 10 most important features to look out for during your decision-making process. Ease of use: Consider how usable the credit card machine is. Look for a machine that’s easy to use and requires minimal training. If it’s complicated for you, your team, and your customers to understand, you’ll hold up your line and frustrate clients. Simple price input: Whatever your customers are buying, you should be able to easily input the exact amount they’re paying. Look for a credit card machine with custom input, so you never have to compromise. Payment security and PCI compliance: Violating PCI compliance can lead to major financial penalties, and it leaves you and your customers vulnerable to fraudulent charges. Your credit card machine should be PCI compliant to avoid financial and security infringements. EMV and NFC compatibility: Your credit card machine should be able to accept whatever ways your clients want to pay. Whether they tap with NFC payments, dip their EMV chip, or swipe, get a credit card machine that does it all. Portability: You’re never in the same place, and your credit card machine shouldn’t have to be, either. Look for a credit card machine that’s portable and easy to shift around, so you can take payments wherever you and your customers are. Reliability: Getting paid is the lifeblood of your business, so a reliable credit card machine to take payments is key to keeping everything running smoothly. Look for a high-quality credit card machine that is rated well for reliability, so you never have to miss a payment. Contracts: Often, credit card machines require contracts to begin processing payments with their hardware. You may be required to sign contracts like a merchant account agreement, and pay fees for things like applications, chargebacks, compliance, retrieval, hardware leasing, and more. Connectivity: Wherever and whatever you’re doing, it’s important that your credit card machine can actually take payments and stay connected when you move around. Determine if your credit card machine will connect via Wi-Fi or Ethernet at your business, and select a machine that processes accordingly. Trial period and warranty: Look for a system that you can try out (like with a 30-day trial) and that has a warranty in case issues arise. You should also look for a machine that includes support, so if something goes wrong, you can get help quickly. Ability to print receipts: If it’s important for your business, printing receipts is a critical attribute of a terminal that’s right for you. Some credit card machines have a built-in printer, while others need to be connected to a separate receipt printer. Another thing to keep in mind is the cost. There are two main factors that determine the cost of your credit card machine: hardware costs and processing costs. These costs will in turn reflect the credit card machine price. Whenever your customers swipe, dip, or tap, their payment is processed by a number of parties. That costs money, and charges per card type and per transaction can differ, depending on the credit card machine you are using. Charges may include fees like startup fees, statement fees, monthly fees, refund fees, PCI-compliance fees, business card fees, or hardware leasing fees. Be sure you know how much you’ll pay for processing, both up front and on an ongoing basis. Every business is different and so what credit card machine is best for your business is something only you can determine. 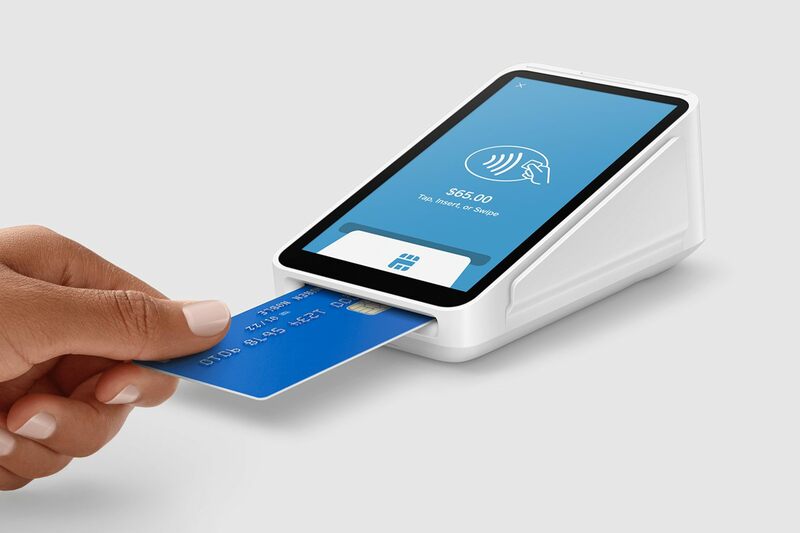 Square Terminal is the next-generation sidecar terminal and receipt printer that enables merchants to accept any form of payment (tap, dip, or swipe) all in one device. It’s a modern device optimized for easy, professional, and reliable payments that treat you and your money fairly. Square Terminal users pay 2.6% + 10 cents per tap, dip, or swipe, no matter the credit card used. And if you process over $250,000 per year, our sales team can create a custom rate for you. If you try out Square Terminal, you can get started in under ten minutes and try it risk-free for 30 days. Square Terminal also comes with a one-year warranty with next-business-day hardware replacement and 24/7 phone support. Interested in Square Terminal? Order now. What Determines the Price of a Credit Card Machine? Get your money faster than ever. Square Instant Deposit gives you access to your funds when you need it.